James Byrne, general counsel and acting deputy secretary of the Department of Veterans Affairs, was nominated to fill his role on a full-time basis. He held executive positions at Lockheed Martin and brings more than 25 years of public sector leadership experience, the White House said Friday. Kirstjen Nielsen announced on Sunday that she's stepping down from her post as secretary of the Department of Homeland Security, CBS News reported Sunday. President Trump announced that Kevin McAleenan, commissioner of the Customs and Border Protection, will serve as the interim DHS secretary. President Trump nominated Scott Soles, an independent financial projects analyst, to be the chief financial officer at the Department of Agriculture. Soles possesses 30 years of auditing, finance and consultancy experience, including time at various Fortune 500 firms, the White House said Friday. 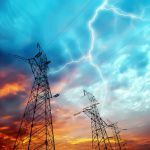 President Trump issued an executive order Tuesday directing federal agencies to address the need to protect the nation against electromagnetic pulse threats. Electromagnetic attacks, which may be natural or man-made, have the capacity to damage critical technology and infrastructure. President Donald Trump selected Michael Kratsios, the current White House deputy chief technology officer and deputy assistant for technology policy, to become CTO and associate director of the Office of Science and Technology Policy. The Department of Defense and civilian agencies would get approximately $87.8B in combined funds for information technology spending under President Donald Trump’s budget request for fiscal year 2020. Civilian agencies would get $51B in IT budget for fiscal 2020 and DoD would receive $36.7B, according to supplemental budget information in the White House’s Analytical Perspectives report.